Much of the Chicago area remains under a Wind Advisory after a powerful storm system brought strong storms to the city and suburbs. 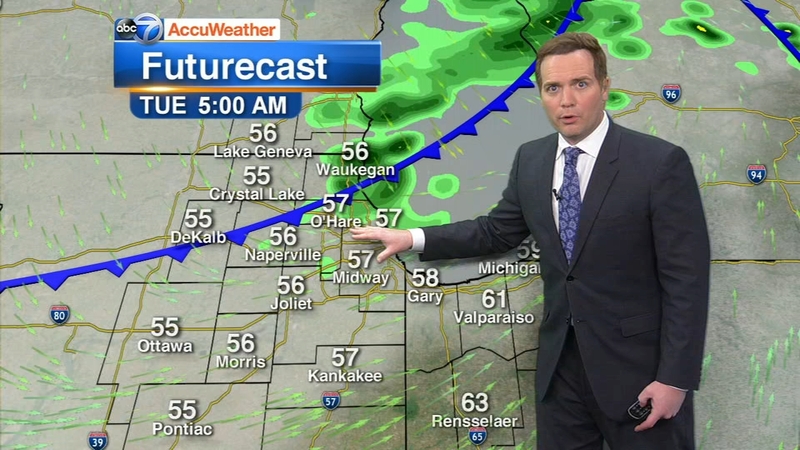 CHICAGO (WLS) -- Much of the Chicago area remains under a Wind Advisory after powerful storms raced through Wednesday night. While the storms diminished in intensity as they moved through the area, high winds will continue to increase through the overnight hours and throughout the day on Thursday. "Right now we have sustained winds out of the south at about 15 to 25 mph, but watch our gusts - in some areas they are up to 45 mph," ABC7 Meteorologist Cheryl Scott said. Sustained winds are expected to increase overnight to 25 to 35 mph, with gusts up to 55 mph, Scott said. A home in northwest suburban Barrington was damaged by a lightning strike Wednesday night. Wind and storm damage has been reported in southwest suburban Plainfield and northwest suburban Barrington. A falling tree took down cable and phone lines in southwest suburban Plainfield. Officials have closed a portion of S. River Road west of Route 59 as a precaution while crews work to repair them. A home in northwest suburban Barrington was damaged by a lightning strike. No one was hurt, and homeowner David Silver said he's lucky it wasn't worse. "Lightning hit the corner of our house, traveled down the gutters through the side of the house, blew out part of the garage wall and the TV upstairs," Silver said. Partly cloudy Tuesday with highs around 60, but cooler by Lake Michigan. At the O'Hare Oasis Wednesday night, rain was seen coming down sideways at times. The wind and rain is a miserable combination for drivers, especially if you're in a semi. Truckers said they have been fighting the steering wheel all night. "Wet, windy, slippery. If you're not careful, not paying attention, a good gust of wind could catch you off guard, and you could end up in a ditch if you're not careful," said Chris Landers, truck driver. The stormy weather also caused delays and cancellations at O'Hare and Midway, where average arrival delays, according to the FAA, topped 3.5 hours at one point Wednesday. With the high winds continuing overnight, morning flights could be impacted as well. Beginning at 11 p.m. Wednesday, the Indiana Toll Road said high-profile trucks will be banned from traveling on the entire length of the roadway. All other vehicles are permitted. The Wind Advisory is in effect for the following counties until 6 p.m. Thursday. : Boone, Cook, De Kalb, DuPage, Ford, Grundy, Iroquois, Kane, Kankakee, Kendall, La Salle, Lake, Lee, Livingston, McHenry, Ogle, Will, Winnebago in Illinois; Benton, Jasper, Lake, Newton, Porter in Indiana; and Walworth, Kenosha and Racine in Wisconsin. A High Wind Warning will go into effect from 12 a.m. to 9 p.m. Thursday for La Porte and Starke counties in Indiana and Berrien County in Michigan. At the highest levels of ComEd, executives are getting power line maintenance, repair and construction crews set for what could be a wild night. As of 9:30 p.m., ComEd says only scattered power outages have been been reported in the Chicago area. ComEd executives began getting power line maintenance, repair and construction crews prepared early. "We are opening our emergency operations center at 5 p.m., being staffed with engineers and leadership ready to manage this storm. We're readying equipment and material in the event that there are outages as a result of the weather," said Fidel Marquez, ComEd. "There's still plenty of leaves on the trees and those trees act as sails and help capture the wind. So, we expect there will be some tree damage as a result, and some damage to our equipment," Marquez said. 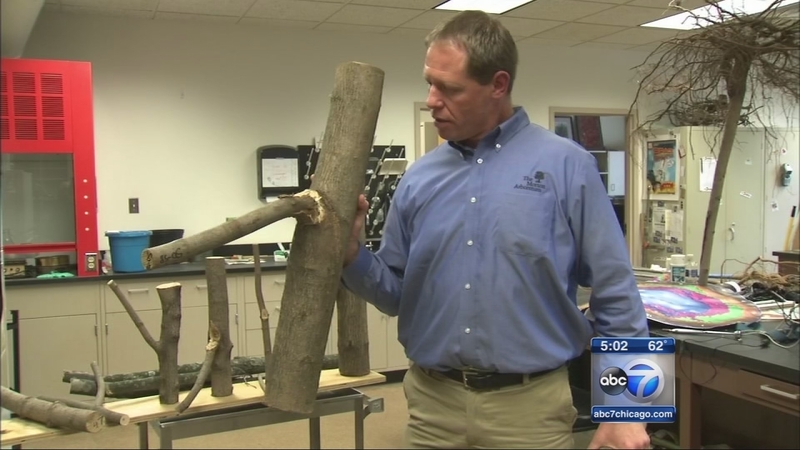 At the Morton Arboretum there's a lot of research that goes into determining the strength of trees - and the hidden hazards that can be exposed in a storm. "Oftentimes when trees are damaged, there is a defect involved - whether it be decay or codominant stems, where two stems are coming up that are both the same size, and we really need to be looking out for those types of defects," said Jake Miesbauer, Morton Arboretum. If you're concerned about trees on your property, Miesbauer suggests contacting a certified arborist.